The term "industry veteran" gets thrown around quite a lot these days, but when it comes to Casino Las Vegas it's a description that certainly fits. Established in 1997, this online casino has managed to move with the times in a variety of ways. From a regulatory perspective, Casino Las Vegas is fully licensed by the UK Gambling Commission as well as the Government of Gibraltar. Beyond this, each of the site's games are powered by Playtech software and fully certified as fair by eCOGRA. Casino Las Vegas offers thrilling instant play, mobile and downloadable software stocked full of the latest iGaming innovations. 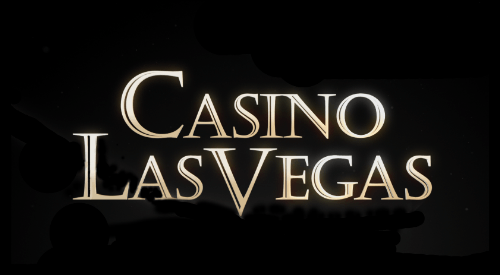 From progressive jackpot slots to live dealer games, unique bonuses and one-touch betting features, Casino Las Vegas has a thoroughly modern look to go along with its 20 years' worth of experience! When you join Casino Las Vegas, you'll get to choose whether you want to use the instant play or downloadable casino. Those that choose the former will get a fully optimised platform that's capable of bending and flexing to suit your device. Regardless of whether that's a PC, Mac or mobile, you'll get easy access to 200+ Playtech games, as well as an array of bonuses. For a wealth of options held all on one app, you can download the Casino Las Vegas software too. Whichever platform you choose, you'll get full SSL encryption, 24/7 support via email, phone and live chat as well as the standard welcome bonus worth up to £500. After making your first deposit of at least £20, you'll receive a 100% match on top of 50 free spins. To unlock this bonus you'll need to wager just 20x the deposit plus bonus amount within 30 days. Compared to other online casinos, that's a fairly easy playthrough. When it comes to gaming options, Casino Las Vegas really does live up to its name. From free play casino games to real money betting, you'll have access to more than 200 of Playtech's finest titles, including progressive jackpot games with prizes topping £50 million. Live Games = Baccarat, Blackjack, Dual Roulette, Hi/Lo and more. Regardless of whether you like to play for high stakes, low stakes, via your desktop or mobile, you'll find plenty of ways to bring the magic of Vegas to you when you join Casino Las Vegas!